It is well-established that regular exercise leads to a number of positive health benefits. It has been found to be associated with reduced rates of heart disease, high blood pressure, stroke, metabolic syndrome, Type 2 diabetes, breast and colon cancer, and depression, as well as reduced risk of falling. It has also been found to increase fitness, improve bone health, boost functional health (ability to do activities of daily living), and improve cognitive function. Research has also found that in order to achieve these benefits, the average adult must participate in 150 minutes of moderate-intensity or 75 minutes of vigorous-intensity aerobic activity per week. That's about 30 minutes most days of the week of moderate-intensity activity. If an individual chooses to exercise more than 150 minutes per week, there is a corresponding increase in the health benefits. However, this increase in health benefits continues only until about 300 minutes of activity per week, which seems to be the cutoff. Beyond this, an increase in exercise does not cause a corresponding increase in health benefits. Experts also recommend that individuals incorporate muscle-strengthening activities, which involve all major muscle groups, two or more days per week. Research shows that this helps a person achieve a healthy body weight and body composition, and also reduces their risk for development of diseases such as diabetes. Now, the real challenge facing most people is how to fit regular activity into their busy schedules. Lack of time is cited as the number one reason people don't exercise. It is therefore very important for people to exercise in the most effective and time-efficient manner in order to maximize their health benefits within a busy schedule. 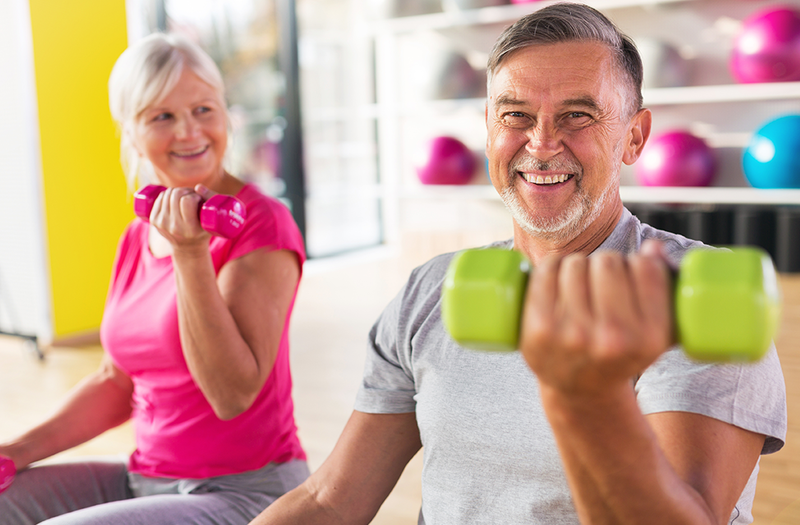 The latest research shows that an exercise routine that includes a combination of cardiovascular and muscle-strengthening exercise provides the greatest health benefits. Where appropriate, an individual can maximize these benefits by participating in vigorous-intensity aerobic activity in combination with strength-training exercises. Try for about 25 to 30 minutes of vigorous-intensity aerobic activity. This would include activities such as walking, jogging, swimming, and biking, or using elliptical and rowing machines, where the individual is performing large muscle movements for an extended period of time, causing an increase in heart rate and breathing. In order to achieve maximum benefits, the individual should work hard enough to get their heart rate to between 60 to 80 per cent of their maximum heart rate. To calculate your heart rate, subtract your age from 220. Then take 60 per cent of that number to determine the lower limit of your heart training zone. To determine the upper end of your heart training zone, take 80 per cent of that number. In the case of a 40-year-old individual, for example, the heart beat range would be 108 to 144 per minute. So this person would then ideally work hard enough to get their heart rate between 108 and 144 beats per minute. To maximize their health benefits, they should strive to have their heart rate nearer the upper end of the range. Please note this only applies to those individuals who are physically fit and don't have existing health issues. If someone is just starting out, it is better to exercise at an intensity that raises your heart rate closer to the lower target heart rate value. People often overlook the importance of flexibility exercises as part of a well-rounded workout. That's a mistake. Flexibility exercises such as stretching can help return your well-exercised muscles to a normal state and can reduce injuries, protect joints and increase balance. Ideally, one should perform a series of stretches for each of the major muscle groups following a workout. Stretch the muscle until you feel tightness, but not pain. Hold the stretch for 15 to 30 seconds. Flexibility exercises should be performed at end of a workout when muscles are warm and focus on all muscles used during the routine. For a well-rounded workout, spend the rest of your hour on muscle-strengthening activities such as pushups, chin ups, squats, tubing, weight-resistance machines, free weights (dumbbells and barbells) and kettle bells. Exercise must be challenging enough that you are only able to perform 10 to 15 repetitions. Strive to do two to three sets of each movement or exercise. Never work the same muscle groups on consecutive days. You need a day of rest in between workouts in order for muscles to recover and become stronger. Tricep extensions - muscles on back of arms. Darren Brereton is the Director of Health and Fitness Programs at the Wellness Institute at Seven Oaks General Hospital. This column was originally published in the January 2017 issue of Wave magazine. Note that these recommendations are for healthy individuals. If you are just starting to exercise, begin at a lower level or weight and do one set of 12 to 15 repetitions of an exercise. Try to do one exercise per major muscle group, but only do strength training one day per week at first. Research shows that even at this level, you will improve muscle strength and reap health benefits. Aerobic exercise and strength training can be done separately or combined in a circuit-training or class routine. Research also shows that individuals are more likely to succeed at incorporating exercise into their busy schedule if they journal or document their exercise. This helps provide feedback on the workout and has been associated with an increased level of motivation. There are numerous tools, wearables and apps available that automatically track these values and make it easier for the individual to see how they are progressing. 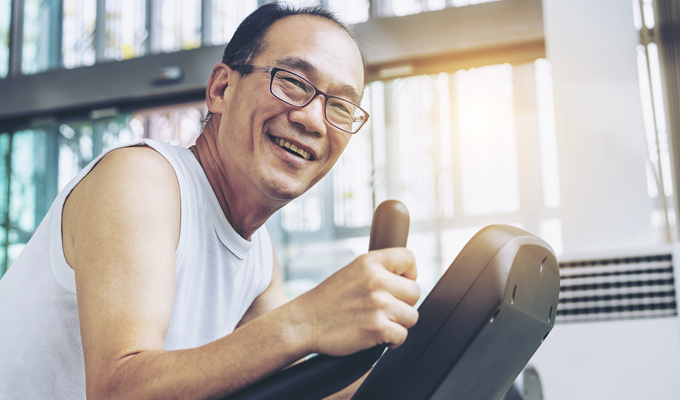 If you have an existing health condition, please see your doctor before starting an exercise program, or visit a certified medical fitness facility such as the Wellness Institute for support and expertise to help you manage your health and reach your health goals. Remember that any activity is better than none at all. Research shows that deconditioned individuals (or those who are "out of shape") can achieve health benefits from doing small bouts of exercise at regular intervals throughout the week. It is important for them to start at a lower level of intensity and time, and increase their exercise slowly in order to avoid injuries and improve long-term commitment to regular exercise.